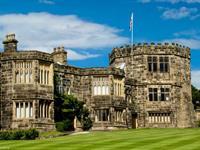 Highfield is located five minutes walk from Skipton town centre. Skiptons medieval castle, canal boat trips, market and array of shops , restaurants, bistros and bars are all within easy reach. 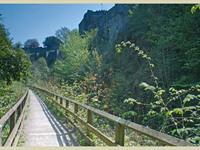 Beautiful woodland walk behind the castle in town centre. 800 years old, best preserved in Europe , reanactments and concerts take place occasionally. Canal boat trips with food and drink tours. 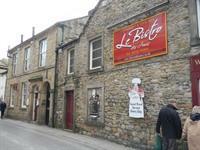 Number one restaurant in Skipton , award winning French big portion fine dinning , great value for money. 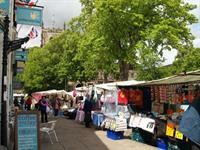 Busy markets stalls all the way up the high street. Monday, Wednesday, Friday and Saturday, 9am till 4pm.